Anthony M. Daniels was born in London in 1949 to a German mother and a Russian father. His Jewish maternal grandfather was a doctor who fought for the Kaiser as a major in the First World War, winning two Iron Crosses, and his family enjoyed a prosperous lifestyle that was nonetheless made difficult by the rise of the Nazis. Daniels’ mother fled the country in 1938 at the age of 17 and made her way to England in 1939. That same year her father managed to obtain visas to China, and the rest of the family escaped to Shanghai around July or August. Daniels’ mother never saw them again. She “entered domestic service” in England (presumably a great change from the lifestyle she had enjoyed in Germany) and became engaged to a fighter pilot in the Royal Air Force who was subsequently shot down in Malta. In 1945 she received an unexpected telegram from her sister asking whether their parents’ gravestones should be in English or German. His father became a communist as a young man and wooed Daniels’ mother by reading communist tracts to her. “Nevertheless, she married him,” Daniels says. Perhaps understandably, the marriage was not a happy one. Daniels has said (almost unbelievably) that he never heard a single word pass between them in his presence during the 18 years he lived in their household and that the only exchange he ever heard at all was his mother’s late-night exclamation, “You’re a wicked, wicked man.” The couple eventually separated and did not speak even when Daniels’ father was on his deathbed. If Daniels inherited anything from his father, it was surely not his personality but his interest in intellectual affairs. He grew up surrounded by his father’s communist library and was thus introduced early on to the world of ideas. He became a lover of philosophy at an early age, reading La Rochefoucauld at 12 and Hume and Saint Anselm by 14. Sensing a link between his father’s undesirable personal traits and his political beliefs, he rejected communism but nevertheless read almost every communist work he could find. He also began what would become a remarkable record of world travels, performing Shakespeare with a group of students in Afghanistan in front of the country’s crown prince. Aspiring at 17 to be an historian or philosopher, he was pushed into medicine by his father but spent most of his time reading philosophy and literature, studying his coursework just enough to “satisfy the examiners”. Daniels qualified as a doctor in 1974 but had little interest in a traditional medical career. After working for a few months in the English Midlands, in 1975 he took a position at a hospital in Rhodesia (now Zimbabwe), then stewing with anti-colonial sentiment. Daniels has attributed this move to a desire to live an interesting life, as well as (with characteristic humility) the youthful self-righteousness of being unbigoted in a racially oppressive society. His work in Rhodesia was interesting enough, as he assisted at surgeries and manned the emergency room (emergencies in rural Africa being caused by man and beast alike), but he also found time to contemplate the issues of the day, seeking out and interviewing the anti-colonialist leader Joseph Nkomo from curiosity alone. His experiences with poverty, racism, colonialism and the indigenous problems of African culture would subsequently form the basis of much of his early writing. Leaving Rhodesia after six months, Daniels eventually made his way to Cape Town, South Africa, where he spent a month studying the country’s history and fulminating against apartheid. Down to his last few rand, he obtained a job substituting for an alcoholic doctor in Natal Province, where he witnessed the lunacy of apartheid, right down to the almost Talmudic questions arising from a philosophy of total racial separation. His attendance at a black Methodist church service in the inaptly-named Edendale caused a stir. Either this or other violations of apartheid caused the South African police to seek him out, but fortunately he had left the country the previous day. In 1979 he began a three-year residence in Kiribati in the South Pacific’s Gilbert Islands, eventually taking over management of the local mental health clinic. He began sending unsolicited articles to the Spectator magazine, and his first published work (“A Bit of a Myth”) appeared on August 27, 1983 under the name A.M. Daniels. The article contradicted the conventional wisdom that held Sir Arthur Grimble, the islands’ former British colonial administrator, to be a benign ruler. 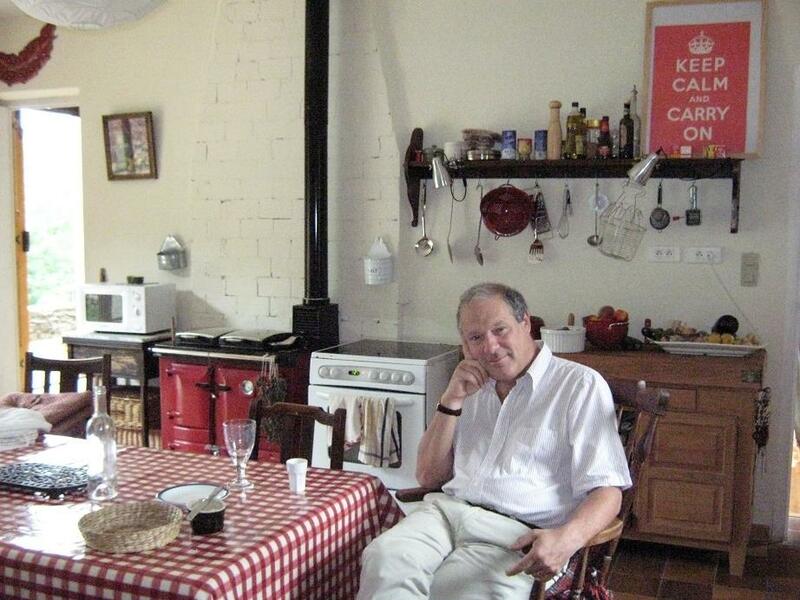 Former Spectator editor Charles Moore said in 2004 that Daniels was “the only writer I have ever chosen to publish on the basis of unsolicited articles”. Much of Daniels’ early writing was straightforward reporting, but this article nonetheless contains the first appearance of some of the major themes of his later work: the destructive consequences of European colonialism and the folly of imposing abstract ideas on populations ill-suited to them. 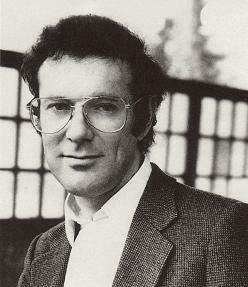 Daniels left the Gilbert Islands in late 1983 and returned to England, writing for the Spectator with increasing frequency. For the next two decades Daniels would continue his medical work while developing his writing into a second career. From 1984 to 1986 he practiced medicine in a small Tanzanian village, using the opportunity to travel to other African nations and analyze their political affairs for the Spectator. These pieces, written under the psuedonym Edward Theberton, offered pointed criticism both of Western policy toward Africa and of the continent’s dictators. On January 31, 1987, the Spectator published the essay “Not As Black As It’s Painted” under the name Anthony Daniels, in which Daniels announced that he was Edward Theberton and that he had used the pseudonym “for obvious reasons”. As many of the pieces strongly criticized Tanzanian President Julius Nyerere and his “Party of the Revolution”, he presumably sought safety in anonymity. Daniels would continue publishing in the Spectator under the name Edward Theberton until May 4, 1991, but “Not As Black As It’s Painted” acts as a fine summary of his two primary lessons in Africa: That by comparison with the Western world Africa is indeed in terrible shape, with no real hope of improvement, and that Western policy, African leaders and African citizens themselves can all be fairly blamed. Second, that these facts do not mean that ordinary Africans lead intolerable lives, that there is in fact real daily happiness in Africa, and that to judge the lives of Africans by Western material standards is nonsensical. In 1986 Daniels’ first book was published. Coups and Cocaine: Two Journeys in South America details his experiences in two brief visits he undertook while living in the Gilbert Islands, during the second of which he crossed the continent using only public transportation. He followed it up the next year with the moving Fool or Physician: The Memoirs of a Sceptical Doctor, recounting his life up until his departure from the Gilbert Islands. In 1988 he wrote Zanzibar to Timbuktu, which details his arduous trip across Africa, again using only public transportation. Filosofa’s Republic, a satire of Tanzania under the rule of Julius Nyerere, was published in 1989 under the name Thursday Msigwa. Between 1987 and 1988 Daniels spent eight months living in Guatemala, yielding the 1990 book Sweet Waist of America: Journeys Around Guatemala. Returning to England, where he would remain for the next 17 years, Daniels began taking short trips abroad and filing reports for the Spectator. His 1988 reports from the Baltic states documented the rapid decline of communism. Between April 1989 and January 1990, he visited five communist holdouts (Albania, North Korea, Romania, Vietnam and Cuba). In Romania, he smuggled banned books to dissidents. Infiltrating an English communist group for the trip to Pyongyang, he attended a fascist rally addressed by Kim Jong-Il and witnessed a potemkin department store where even the shoppers were fake. He compiled all of these trips into the 1991 book The Wilder Shores of Marx (released in the U.S. as Utopias Elsewhere). Excerpts were printed in five separate articles for National Review magazine, and Daniels has written occasionally for the magazine ever since. His March 1991 trip to Liberia, in which he interviewed the psychopathic military leader Prince Y. Johnson and witnessed the results of a civilian massacre where “the outlines of the  bodies were still visible on the dried blood on the floor” led to his sixth book, Monrovia, Mon Amour. Daniels began in 1990 to divide his medical work between a hospital and a prison in Birmingham, where he treated thousands of criminal perpetrators and their victims and was struck by the growing violence, incivility and irresponsibility of his countrymen. Realizing that the “poverty” of the English underclass was different not just in degree but also in kind from the actual material deprivation he had witnessed in Africa, he determined that the degraded behavior of much of England was attributable to the embrace of the corrupt ideas of modern intellectuals. On May 19, 1990, Daniels began addressing these themes in a Spectator column entitled “If Symptoms Persist”, in which he used the pseudonym Theodore Dalrymple to maintain the anonymity of both himself and his patients. 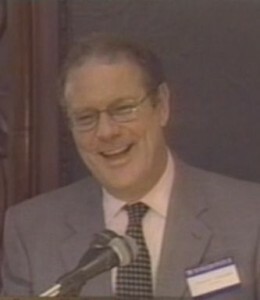 The columns were collected in book form in If Symptoms Persist (1995) and If Symptoms Still Persist (1997), both published under Theodore Dalrymple, as all of his subsequent books have been, including So Little Done: The Testament of a Serial Killer (1996), Mass Listeria: The Meaning of Health Scares (1998) and An Intelligent Person’s Guide to Medicine (2001). 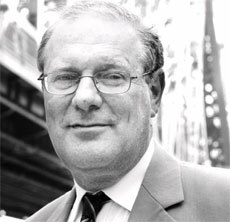 In 1994 Daniels began writing essays (as Theodore Dalrymple) for The Manhattan Institute’s City Journal. Selections from these essays were compiled to great acclaim in the books Life at the Bottom: The Worldview That Makes the Underclass (2001) and Our Culture, What’s Left of It: The Mandarins and the Masses (2005), which to date have proven to be his most popular works. 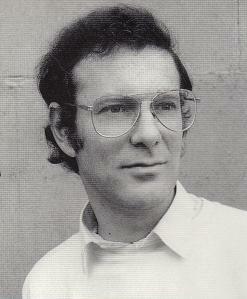 Daniels has since begun writing regularly both as Theodore Dalrymple and under his real name for publications including The New Criterion, The British Medical Journal, The Social Affairs Unit and New English Review, while writing ad hoc essays for the Wall Street Journal, the Australian and others. In 2006 he wrote Romancing Opiates: Pharmacological Lies and the Addiction Bureaucracy (published in the UK as Junk Medicine) followed by 2007’s In Praise of Prejudice: The Necessity of Preconceived Ideas. In October 2008, Ivan R. Dee published a third collection of his City Journal essays entitled Not With a Bang But a Whimper: The Politics and Culture of Decline. Tiring of this cultural decline in England, Daniels announced in a January 3, 2004 Spectator essay entitled “Escape From Barbarity” that he was retiring from full-time practice and leaving the country. He and his wife moved shortly thereafter to France, where they currently reside. He continues to serve as an expert witness in murder trials, but devotes most of his work time to reading and writing. I thank you for being in the world at this time and for deciding to live an interesting life. Your writing brilliantly describes the downhill trend we are on. May there be libraries to hold a record of this downfall for future human civilizations if such there will be. May your words be prominently displayed. Thank you. Born Mennonite in southern Ontario, raised Hutterite, became a novice in the Bruderhof, left communal life at age 16, taught in Chicago public schools, worked with refugees from Southeast Asia and immigrants in Chicago for 22 years teaching English as a Second Language. Fired from the job at a time when I was supervising some 200 teachers in the Adult Education Program at a City College. Divorced, remarried, lost custody of 5 year old child, retired and being a caretaker of an 89 year old husband. Book review editor for the Communal Studies Association, coauthored a report on our post communal download in the academic journal Communal Societies with Dr. Tim Johnson, who formerly worked for the CDC in Atlanta, GA.
How do I get in touch with Mr. Daniels??? I really admire him and want to write or email him to say thanks for the influence he has had on my thinking. Is there any way I can message him? Andrea, we do not give out Dr. Daniels’ email address, but if you would like to email him at webmaster@skepticaldoctor.com, we would be happy to forward it to him. How can I get an e mail to Mr Dalyrmple about an important matter ? You can send the email to me at webmaster@skepticaldoctor.com, and I will forward it to him. Thank you for this background information on one of the most fascinating independent minds. I am usually of a Leftish persuasion, but the observations in Life at the Bottom made a deep impression on me. Does mr. Daniels have children? Didn’t you write a book once about mawkish sentimentality?